If you have your trampoline outside it will retain some condensation and seepage over time. To ensure this does not lead to rust or otherwise, tip your trampoline on its side (if rectangle). This way, the water in the leg bases will drain out the sleeve joints. No one wants rust on their trampoline. Checking for rust regularly can save you from further damage and will keep your trampoline in tip-top condition. Remove the legs or spreader bars and check for rust. If there is no sign of rust, apply rust inhibitor and replace the legs. If you do find nasty rust, it is best to remove and replace the leg of your trampoline. If you have a polypropylene mesh type mat, only clean with cold water. Never clean with detergents, soaps or solvents as it will affect the mat’s durability. If you start to see black marks on your body from the trampoline it means your mat is approaching its use by date. If you have a two string mat, you will need to repaint it. Repaint a water-based painted mat every 12 months, and a rubber-based painted mat every 3 months. Springs can be over-stretched for various reasons: the strings may be in an active spot of the trampoline, they are used a lot, you may be exceeding the weight limit. 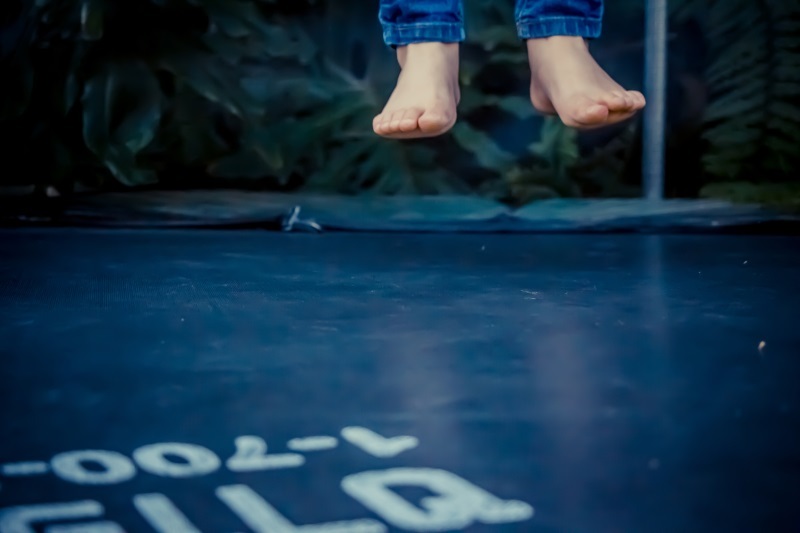 If the springs are slightly over-stretched in an overly-active spot of your trampoline, swap the springs for a less active spot of the trampoline. If your springs are more than over-stretched or you are exceeding your weight limit, you should replace them with new springs. If you have any other queries or concerns about how to care for you trampoline, come talk to us at Topline Trampolines. We can answer all your questions and we have all the replacements parts to keep your trampoline at the top of its game for years to come.